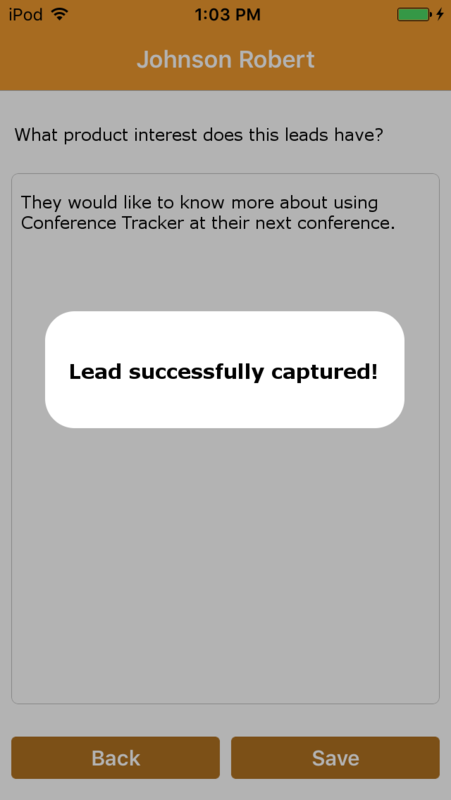 Download the Conference Leads app. You can find the download links for both Android and Apple devices here. Once the app is downloaded, open it. 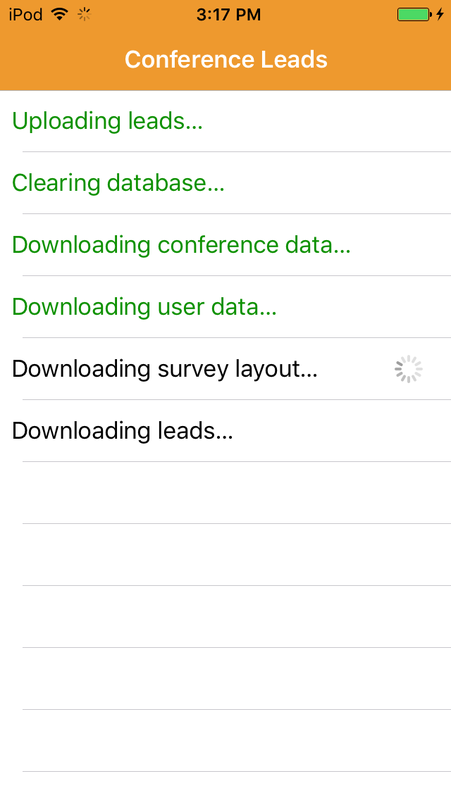 If you log in successfully, the app will download your conference data and will show a welcome screen. You should see your name and company on the welcome screen. 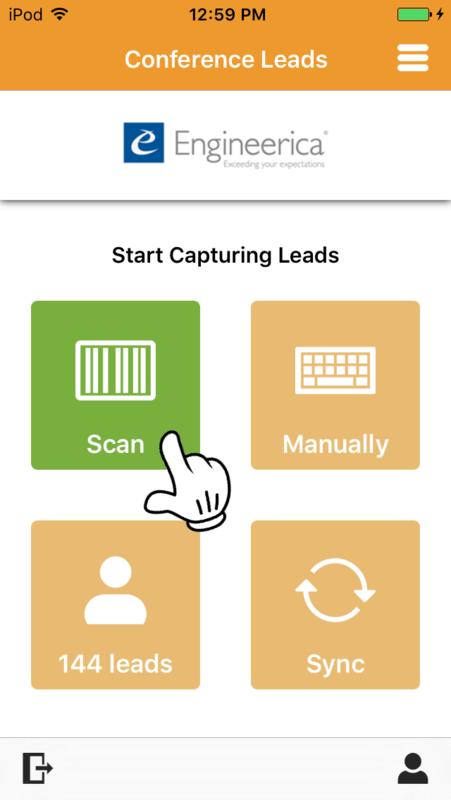 You are now ready to start capturing leads! 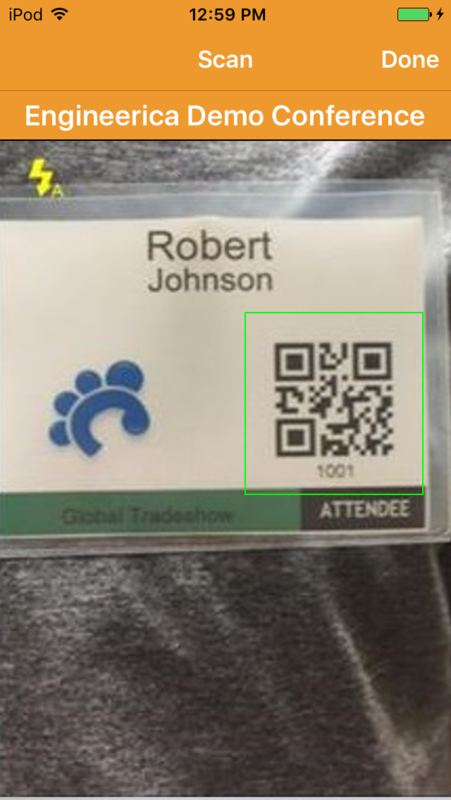 To capture a lead’s contact information, aim your camera at the bardcode or QR code on the badge. When the barcode is read, the app will display a contact screen with known fields already filled in. If a desired field is missing or to edit a field, simply tap on it and type. You can scroll down to the bottom for an open text area. You can type any notes you'd like about this lead here. Tap "Next" and answer any custom qualifying questions created for your account. Tap “Save” on the upper right corner to save the contact info. Would you like to customize the questions asked during this lead capture process? Click here if you are a Conference Leads Admin to learn more! 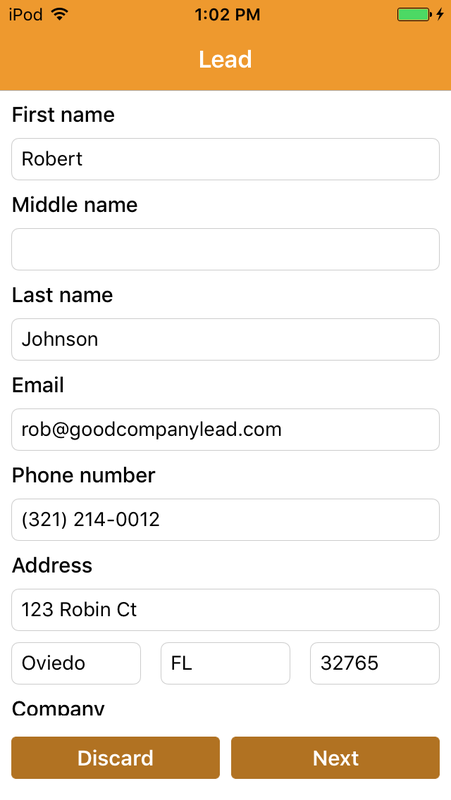 In Options you can email your captured leads to yourself, Sync the app to a cloud based secure server, logout of the device, and change your settings. IMPORTANT: If you do not have an Internet connection during the conference, you must sync the device when Internet connection is available immediately before and also after the conference. 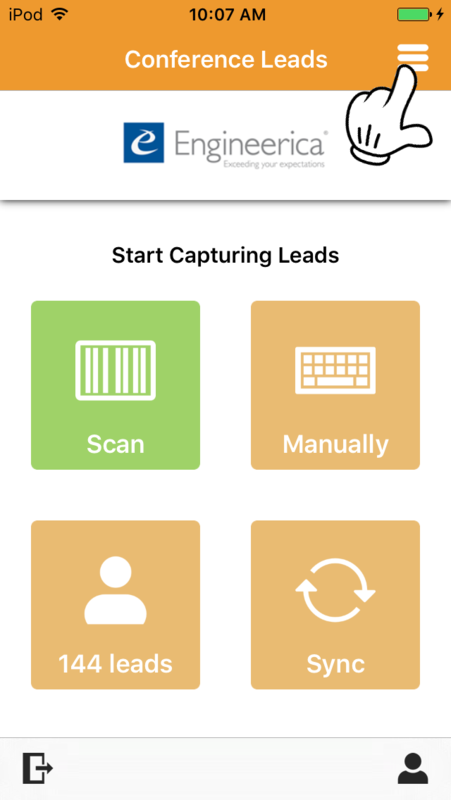 The sync prior to the conference will set up the app for scanning attendees, while the sync after the conference will transmit the captured scans to the server to enable you to view, export, or email the captured leads. From the app’s welcome screen, tap the “Manual” button. 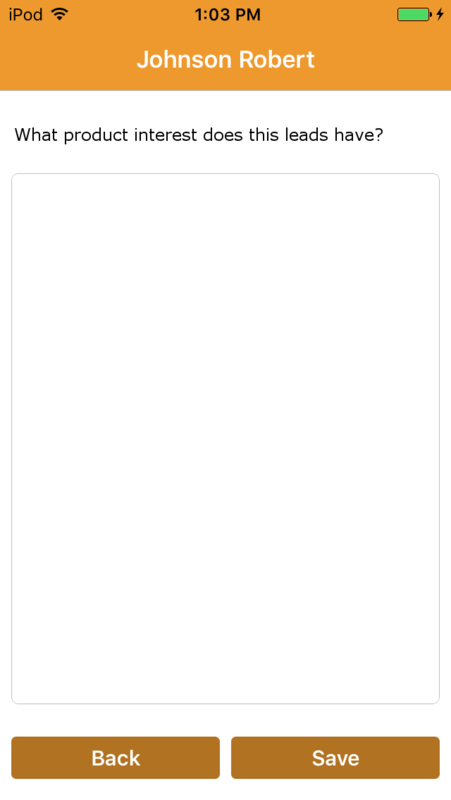 The app will display a contact screen with blank fields. Fill in name and desired contact info. You can scroll down to the bottom for an open text area. You can type any notes you like about this lead here. Answer any custom qualifying questions set up for your account. 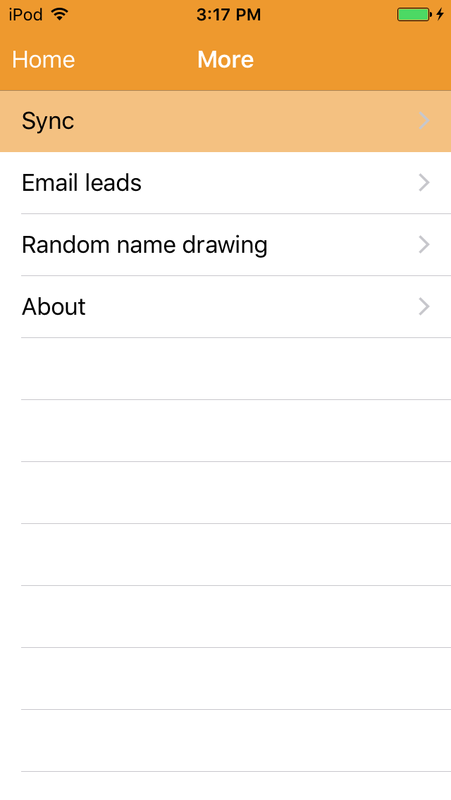 Tap the button on the bottom of the welcome screen to view a list of captured leads. Click here to go back to the Conference Leads Support page.